Check out what Leo of Kung Fu had to say about London’s dopest jam and win tickets to the Kung Fu birthday bash with performances by The Boot Camp Click, Black Moon and more! First up, please introduce yourselves and explain to the the agraphobic’s what KungFu is? Kung Fu is a crew of people that encompass a lot of different things including DJ’s, MC’s, producers, graffiti artists, film makers, photographers, artists, designers, writers etc… Kung Fu is also a company that is involved in putting on live shows, open mics, parties and exhibitions. The company also operates the UK’s largest hiphop specific street promotion service, including flyer packs, guerrilla marketing, print and design. The newest addition to this is Kung Fu London, a full range of men’s and women’s ware that will be designed and manufactured by Kung Fu and available world wide. 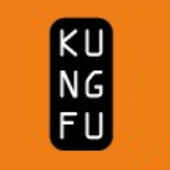 From March / April 2006 we will have re-launched our web site www.kungfu-london.com On this site you will be able to keep up to date with everything about Kung Fu artists, events, news, products, street promotion, the lot! The site will have a store, features, competitions and loads more so you can just check that out. How long have you been running the night and what sticks out as being the best Kung Fu of all time? We are coming into our 7th year. We’re having our 6th Birthday party at Fabric on April 27th. You can’t really pick out a best of all time. All the nights have been good. Sometimes individual performances have stood out and ofcourse, there have been the bigger nights like Guru at the Electric Ballroom and Raekwon at KoKo which were both really good. But so far, it’s all been a string of great performances and atmospheres. What kind of head count do you get these days and how humbling is it to see a small night grow so big? The head count depends on the event. 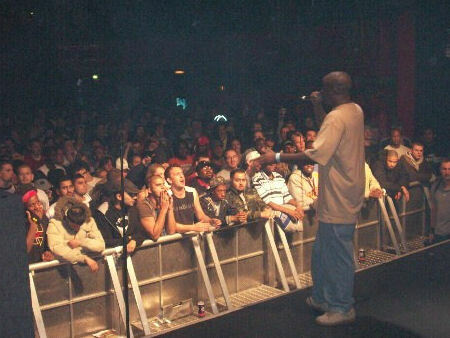 The venue KoKo probably takes about 1500 where as the Jazz CafÃ© capacity is 400 and The Dublin Castle (where we hold ‘Chester P’s five word final freestyle trial’) takes 150, so it depends. To see it grow from a few hundred people at WKD to massive road blocks at the Underworld and now on to these other shows is a great thing. It’s really a reflection of the scene and the artists. They have progressed and gained a greater fan base over the years, and as that has happened we have grown together and taken the shows to a greater scale. UK hiphop heads can be pretty lazy. How much work goes into putting on the regular monthly event? A lot of work. For us, it’s basically been a full time thing. But as with everything, it all comes down to who’s involved and how much time you’re willing to put in. With Kung Fu, there has always been a strong group of people involved on all fronts and a lot of work has been put in, so hopefully that is reflected in the events. You get out what you put in, and we have always tried to put in 100%. What’s the biggest horror story that’s occurred throughout the years of running Kung Fu? Promoting, running a business, all that stuff is generally a constant horror story. Everything that can go wrong usually does and everyone has to just think on their feet. Stress is always there. You just have to learn to try and deal with it and embrace the horror. You’ve had a few venue changes over the years. Are you going to stick with Jazz Cafe for a while longer? We’re doing stuff with the Jazz CafÃ©, Fabric, The Dublin Castle and a few other places. This year we’re also launching an ongoing world tour featuring our residents Harry Love, Sarah Love and Mystro, plus some live shows, so that’s one to look out for. There is an international events listings page on the new site www.kungfu-london.com so people can check that to find out what’s happening. Why did that venue move come about and do you miss the familiarities and memories of the Underworld? It wasn’t so much a venue move as the end of a chapter. In those 4 years at the Underworld we achieved a lot. 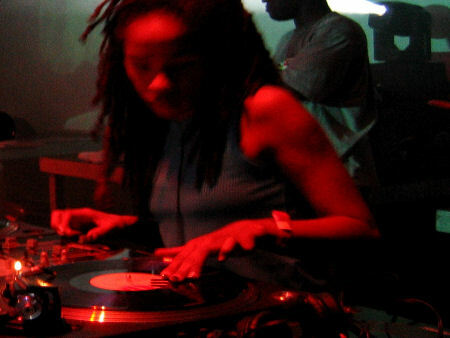 We played host to so many great acts from the UK and US, we filmed volume 1 of the DVD, we had the ‘Chester P for Mayor’ free party, we started the Harry Love birthday bash, Mystro’s beach party, Sarah Love’s Valentines bash, we won best club at the UK hiphop awards 2 years running there. So much has happened there that when it reached a certain point we had to cap it off and move so that we can progress and evolve. You’ve done the sand thing for Mystro’s beach party and get art pieces in from Solo One. Are you gonna build on these set ideas? Yes. We won’t say too much. Just look out for this in the future. How much footage have you got stocked up for the DVD series and when do you suspect Volume 2 will drop? A lot. We have had up to six different cameras operating at each night from start to finish since 2001. Volume 2 and onwards are in the pipeline along with other releases, but we don’t have any dates yet. All of these things will be announced on the web site as and when they happen. Harry Love’s birthday bash’s are always special. Is it hard work booking the bigger international acts? Things are always harder to organize when you have a massive ocean between the people who are trying to organize them. Obviously with the internet and mobile communication being what it is, you can achieve a lot without ever actually meeting people. But it’s always easier being able to just go round and see them. Recently you’ve put on the Chester P’s freestyle trial. Do you think this, or something similar could be a regular thing? Chester’s freestyle trial is a regular. It’s looking like a monthly event. The next one is May 3rd at the Dublin Castle in Camden. Can you let us in on when the next Kung Fu is and who’s on the line up? Kunv Fu’S 6th Birthday Bash! Come join Kung Fu on Thursday April 27th to celebrate our 6th Birthday and the launch of the highly anticipated Silent Soundz/Medication Records releases, ‘Bring It Back (to basics)’ & ‘Grown Man Business’! At Fabric, 77a Charterhouse Street, London, EC1M. Performing live on the night… The Boot Camp Click (NYC), Black Moon, Smif ‘N’ Wessun & Heltah Skeltah. How many flyer packs get circulated and how can labels and artists get included in those? Sometimes you hear about hiphop events being cancelled because of ‘security concerns’. Do you ever have to deal with the stigma of putting on a rap event? Of course. A lot of club owners worry about this sort of thing. But up until now and hopefully in the future, our crowd has and will be responsible and out for a good time. Obviously there are incidents but the same things happen in your local Weatherspoons as well so it’s not just about hiphop. It’s about alcohol and going out and all of the things associated with this. How do you rate the standard of the UK hiphop scene at the moment and what’s the hottest releases right now? The Standard is high and it’s getting better all round. From the actual records and the live shows to the promotion and distribution. There is a healthy mix of the traditional independent labels and the majors putting things out and with things like 1xtra and Channel U building up, there is a good media base for artists to get out there. Right now, there’s a lot out there. Silent Soundz and Medication have got some good stuff coming with Harry and Verbs and Mr Thing and Yungun. Sway’s doing well and the Foreign Beggars. Also look out for a guy called Teef. He’s got some really good mix tapes out. Would you agree that Camden is perhaps the unofficial home or HQ of UK hiphop? You can’t really say that. Each part of the country has its own HQ of UK hiphop. There is definitely an energy around London and Hiphop. Infact, there is a great energy around London in general. When you travel abroad, people always want to know what’s happening in London, whether it’s music, art, film, football, people are interested. It’s a great city and a great place to work and do things. Have you got any shout out’s or plugs you’d like to make? Shout out to every one who has been supporting and contributing over the years. And shout out to all the Kung Fu crew in USA, Australia, Scandinavia, Holland, Hong Kong, Hawaii and World Wide! WIN TICKETS TO THE KUNG FU 6TH BIRTHDAY BASH BY CHECKING OUT THE RAPNEWS COMPETITION SECTION NOW!